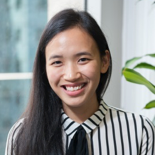 Syazana Lim is the lead research analyst at SSON Analytics. Syazana is responsible for researching and analysing a combination of proprietary and public data on the global shared services and outsourcing community to uncover the latest trends and insights into the industry. She is involved in the end-to-end production of visual interactive reports and is currently managing various data tools such as the Intelligent Automation Universe, the Metric Benchmarker and the City Cube. Check out the incredible speaker line-up to see who will be joining Syazana.